Camp Tuolumne in the movies! Following the Rim Fire tragedy of 2013, two local documentary filmmakers have been tracking Mega-Fires and the change of our landscapes due to climate change. They wanted to tell the story of Camp Tuolumne as the biggest human loss in the Rim Fire, and interviewed FOBTC Executive Director Scott Gelfand for their documentary at camp. The Berkeley premiere is next Monday. Come join us for this powerful story. Wilder than Wild: Fire, Forests, and the Future will be screening Monday, May 21, at 7pm at the Brower Center Theatre in Berkeley followed by a discussion and Q & A with Berkeley City Councilmember Kate Harrison, UC Berkeley fire scientist Scott Stephens, Firefighter Mike Shuken, and filmmakers Kevin White and Stephen Most. Four years in the making, this one-hour documentary reveals how fuel build-up and climate change have exposed Western forests and wildland-urban landscapes to large, high intensity wildfires – and explores strategies to mitigate the impact of these fires. Tickets are selling fast ($15). All proceeds will go towards the outreach and distribution of the film. Wilder than Wild: Fire, Forests, and the Future reveals how fire suppression and climate change have exposed our forests and wildland-urban landscapes to large, high intensity wildfires, while greenhouse gases released from these fires contribute to global warming. In this one-hour documentary, filmmaker Kevin White takes us on a journey from the Rim Fire of 2013 to the wine country wildfires of 2017. Along the way, we learn how the proactive use of prescribed fire can reduce reliance on reactive fire suppression, we see a California tribe renew their tradition of cultural fire, and we meet stakeholder groups working with scientists and resource managers to build consensus on how to restore and manage the lands we love and depend on. Upcoming 2018 Events! Plant Trees near Camp, Summer 2018! 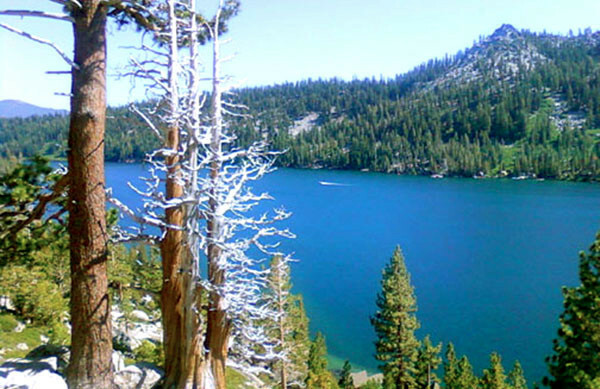 Great news campers – we have the green light from The US Forest Service to come back for the 3rd Annual Tree Replanting Party near Camp Tuolumne! 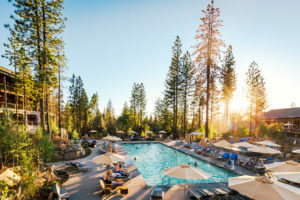 We stayed at the beautiful Rush Creek Lodge just outside Yosemite on Friday and Saturday nights last year, with great food, cocktails, hot tubs, etc… it was a fabulous get-a-way weekend! They are once again generously supporting our efforts, and offering us a 50% discount again, which can be used for Lodge King Rooms and Villas. Please email our Volunteer Coordinator Katie Whitty if you’d like to join us this year and she can give you the discount code for online reservations and answer any questions you have. No experience necessary, families are welcome, and the USFS will provide everything we need (trees, shovels, etc..). It is a marvelous experience, and the trees that we planted last year are growing well (photo below!) Last year we had over 40 volunteers join the Americorp support team and plant over 3000 trees in one day! 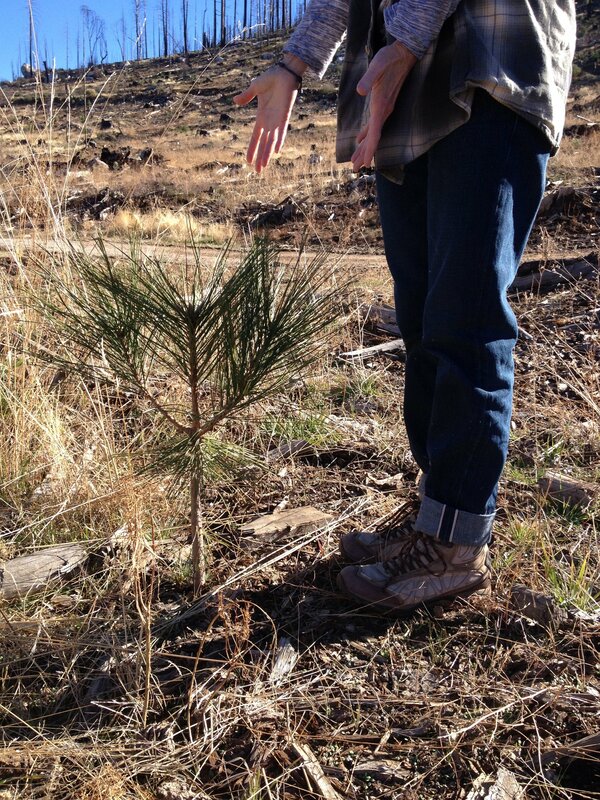 They make it SO easy for us to do this work, and it was SO healing and wonderful to put trees into the ground! Registration is open for Summer 2018 at Echo Lake Camp! and families are signing up! Check out their availability calendar to make plans to get some Family Camp time in..
Labor Day ‘Friends Weekend’ Registration is Open! The Final Summer Get-a-Way to the Mountains! to host an amazing long weekend over Labor Day! * Tournaments, traditions, Campfires, BINGO, and more..
Oct 2017: City of Berkeley hires Siegel & Strain Architects! Great news everyone – we are moving forward!!! On October 17, 2017, the Berkeley City Council approved a resolution on the consent calendar that marked a huge turning point in our rebuilding effort – the hiring of Siegel & Strain Architects to take us from today to the opening of camp. This firm won the bid with experience and the City staff knowing they’d be the best firm to build our camp! FOBTC submitted a formal letter of support to the Mayor and Council, and have had past experience with this firm. 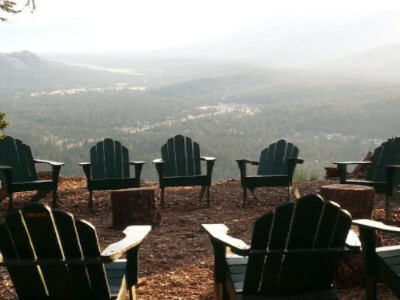 FOBTC Board Member Ari Vared worked with them to rebuild Camp Newman, and couldn’t say enough great things about them. 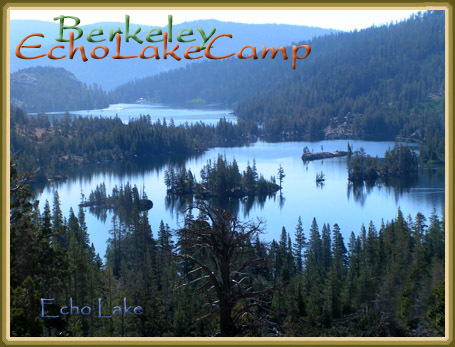 Recommendation: Adopt a Resolution authorizing the City Manager to execute a contract and any amendments with Siegel & Strain Architects in an amount not to exceed $4,300,000 to provide architectural and engineering services for the Berkeley Tuolumne Camp Design Project. 1) Insurance money continues to roll in – and the City continues to negotiate with insurance and FEMA for all the remaining funds. 2) Siegel & Strain take the proposed zoning designs done by 2M Architects and begin a new design phase – what Camp might REALLY look like in reality. This phase will have a public informational process, likely at the 60 % design stage – in 5 – 6 months. The City will keep us updated and we’ll be sure to let everyone know. This phase will tell us what can be rebuilt, what insurance and FEMA will cover, etc.. and will also inform us as to what will NOT be covered. That gap is what FOBTC is looking to support so we can have the camp we all want. 3) The USFS NEPA (The National Environmental Policy Act (NEPA) requires federal agencies to assess the environmental effects of their proposed actions prior to making decisions) process is continuing, and City staff are confident they’ve addressed all the issues. 4) The timeline to opening day is 2021! We’ll keep pushing and supporting that timeline! In May 2017, the City Manager briefed Council on the Berkeley Tuolumne Camp reconstruction, and in particular, the City’s ongoing negotiation with insurance and the Federal Emergency Management Agency (FEMA), the primary funders of the reconstruction of Berkeley Tuolumne Camp (BTC). In addition, this memo provides information about camp and recreation program scholarships and outreach efforts. FOBTC is actively engaged in every part of this effort to get camp rebuilt as soon as possible. Thank you for joining and supporting our efforts! Your contributions and support of this non-profit is helping us stay on top of this every day, and will also help close the gap of what we want to build at Camp that will not be funded by insurance, FEMA and the City. 2017 Gala: a sold-out memorable event! 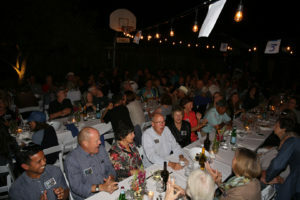 For the first time in its history, FOBTC created “An Evening Under the Tuolumne Stars”, a Gala dinner and auction to celebrate the success of the past 4 years and the rebirthing of camp. 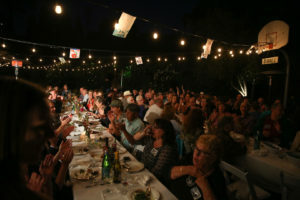 It was a magical evening, as the tickets all sold out, every auction item was bid on, campers were thrilled to come together, former staff were stoked to volunteer to serve dinner, and the Camp Spirit was strong and flowing, equally as much as the wine and house cocktail, ‘The Tuolumne Ranger’! 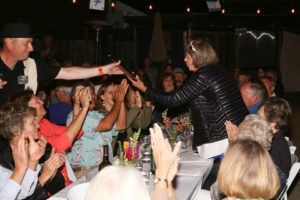 California Rose Catering in Berkeley created an abundant feast, served family-style, and dinner began as always with the third bell and staff singing to “check the seating chart”! Dinner and dessert (thanks to Lisa Kirkby (smore cupcakes!) and Jessica Ahlstrand (check out that camp cake!) were incredible. We sang to the caterers and they came out of the kitchen to run around! It was awesome! Then our gracious hosts were presented with our ‘2017 FOBTC Friend of the Year’ Award for going above and beyond as amazing volunteers to help the organization and the rebuilding of camp. Bill and Christie Booth receiving applause and appreciation from all the campers. We were treated with live music from the Tuolumne House Band – the Tamsen Donner Blues Band – who have hosted Tuolumne Blues weekend for decades at camp. Old friends and family members had a reunion, and celebrated the next phase of this journey we are all on, the rebirthing phase of rebuilding camp! 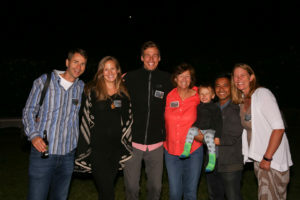 After a hilarious live auction featuring vacation homes and the comedy of Jim Whitty, we all gathered in the green chair circle and with an open fire, and under the starry night, sang the closing song.. a great night! 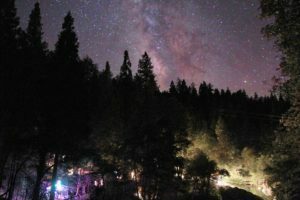 You dream of me, and I’ll dream of you…..
“A Night Under the Tuolumne Stars!” A Gala and Epic Night! together and the rebirthing of Camp Tuolumne! This amazing photo will be available in the auction! 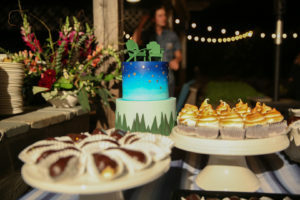 An epic feast – FAMILY STYLE – along with all the fine wine you desire, and for dessert – 2 remarkable ‘donated by camper’ treats – professional cake maker Jessica Ahlstrand’s delicious cake and Lisa Kirkby’s homemade Smore’ Cupcakes!!! Get Rejuvenated with some Camp Spirit this Summer! Grab your book and have a seat in the Green Chairs Circle! * Happy Hour Wine Tasting and Appetizers with a VIEW! * Sat night special dinner! A 40 yr tradition brought back: A Saturday Night Happy Hour Silent Auction! Fine wine, vacation packages, get-a-ways, Tilden Park Golf, Great Books, Pet Services, Feng Shui Consultation, and more! FOBTC donates $50,000 towards Rebuilding Camp! 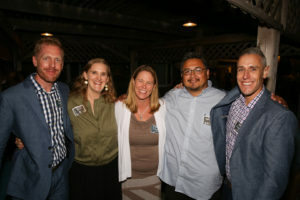 The 4th annual Camp Tuolumne Night at the Freight & Salvage was a huge hit! Almost 200 people came to support camp, meet The Mayor of Berkeley Jesse Arreguin, hear about the plans for camp, and sing our songs and celebrate the rebirth of Camp! Thanks to everyone who came out to the Freight on Monday – it was awesome. 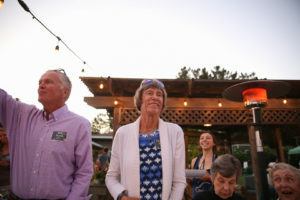 The Camp Spirit was flowing and The Mayor of Berkeley was inspired by our stories, and thrilled for our contribution towards the rebuilding of camp. 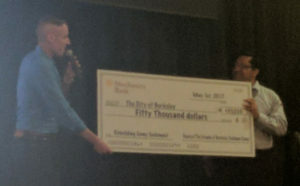 FOBTC donated $50,000 towards the rebuilding fund on the heels of the unanimous passing of the April 4th City Council vote. Thank you all for your contributions towards our camp. For those who couldn’t make it on Monday, check out the video we made as we move from the grieving cycle to the next phase of this journey, dreaming of a rebuilt camp and returning. The rebirth of camp, and the hard work ahead, begins now. City Council Votes YES for Rebuilding Camp Tuolumne! 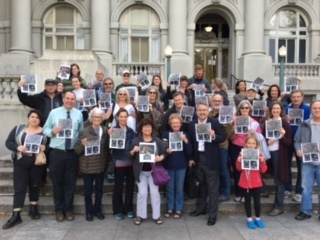 Tonight, The Berkeley City Council voted to approve the funds needed from the city’s catastrophic fund to continue down the path to rebuild Camp Tuolumne! Thank you to everyone who wrote letters, called their council person, and especially came out tonight! It made all the difference! We’ll have a lot more information for you in a week or so from the City staff regarding the timeline and expectations.